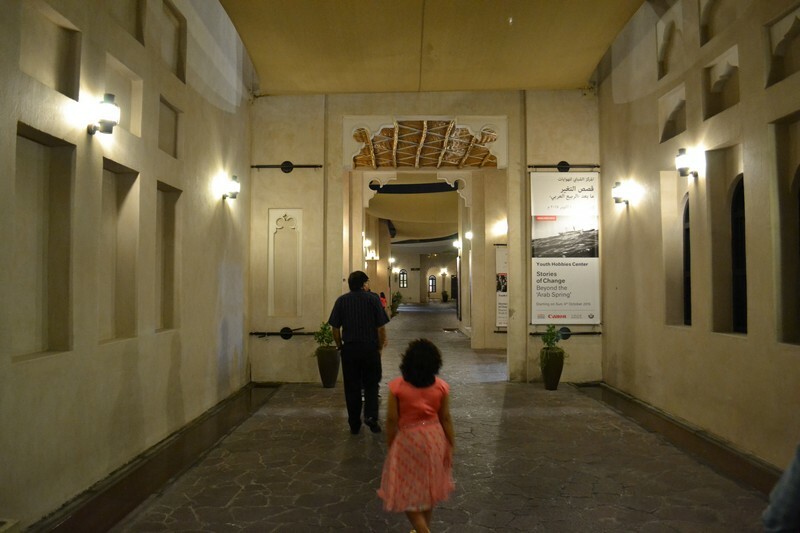 Being interested in history, visiting Qatar Cultural Village was one of my “Places to Visit In Qatar” list. 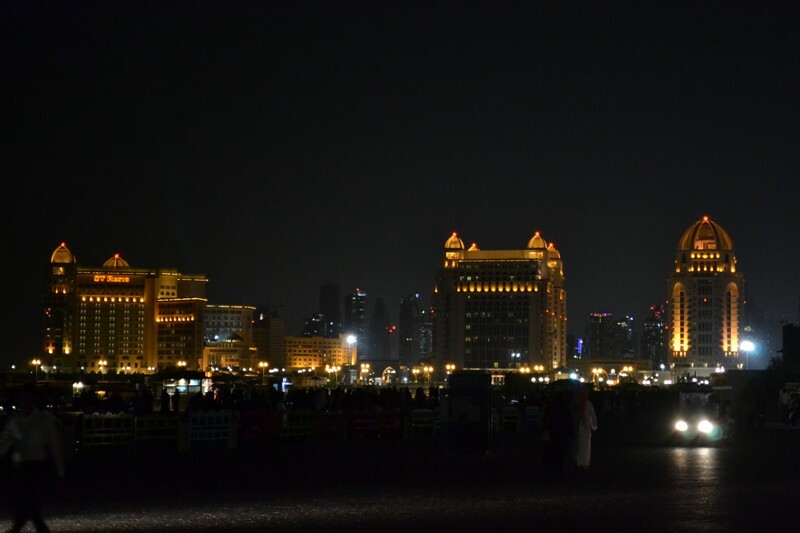 We were staying at my friend’s home who took us to Katara. Our plan was to reach the place before evening so that we could wander around in both daylight and dark. However, thanks to road construction and diversions, we just managed to reach the site at dusk. But still, we spent some fabulous time there. 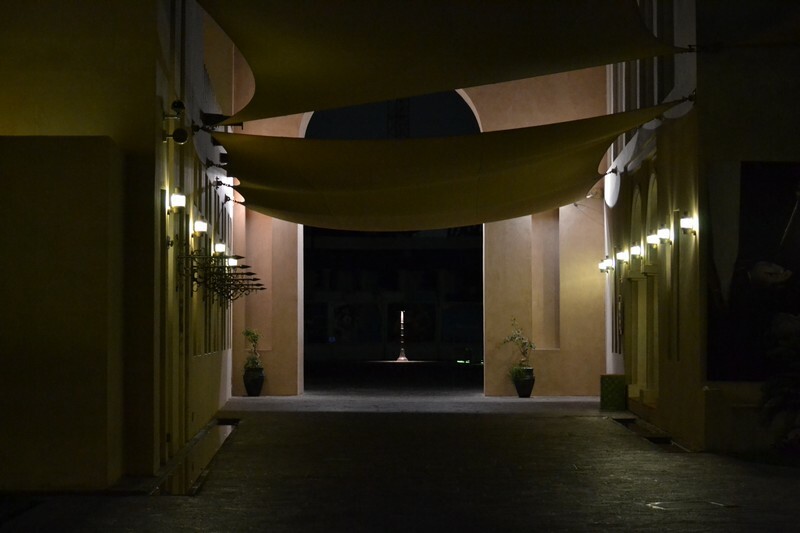 Traditional alleys and streets in Katara Village. 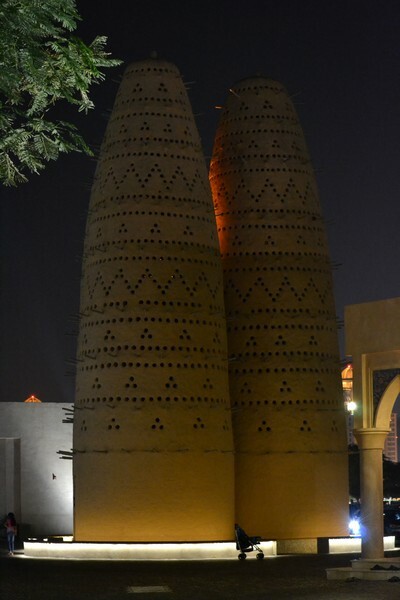 The iconic and most photographed Pigeon Towers in Katara Village depicting traditional Islamic art. The towers are made of clay and are specially designed for pigeons. Though I didn’t see any pigeon there. 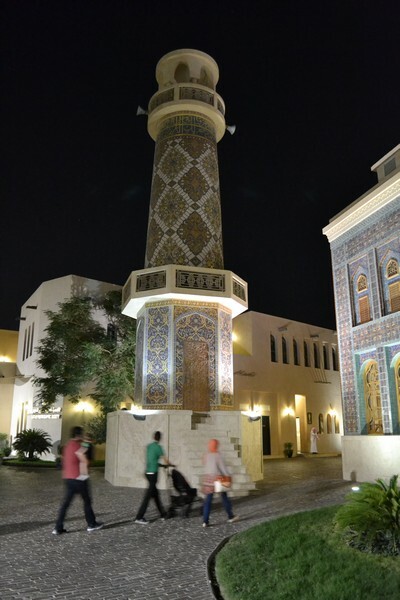 Katara Mosque, a classical example of Persian mosaic. During my visit to Museum of Islamic Art in Qatar, I had noticed significant Persian historical remains in the museum. Even in the Katara village, Persian art was evident. It seems to me that Persia (modern day Iran) had some great influence in this Arab region. 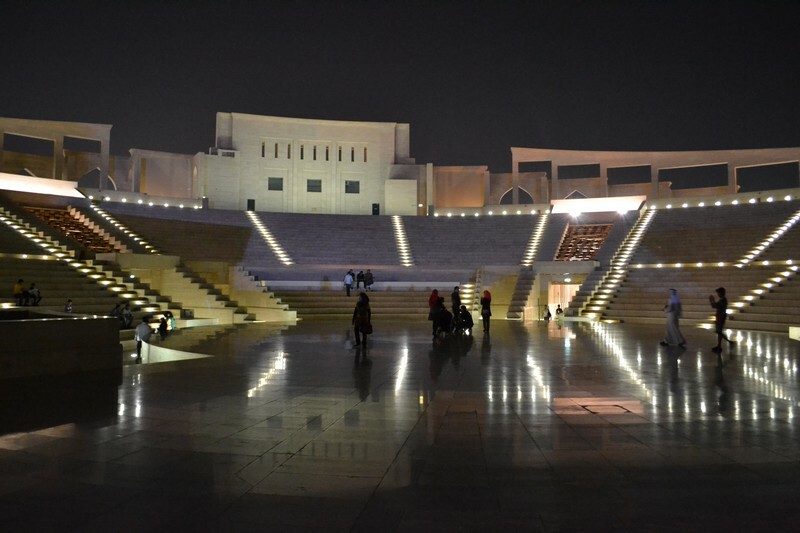 Having a seating capacity of circa 5000 pax and built in a Roman theatrical style, the Katara amphitheater is a fusion of rich Islamic architecture and ancient Greek civilization. It is used to host open air films or live performances. We also experimented to shout out loud and hear echoes while standing in center of the stage. The we had some walk on the paved beach. There were some vendors as well selling tea and other stuff. The area was buzzing with people. Beach Art. 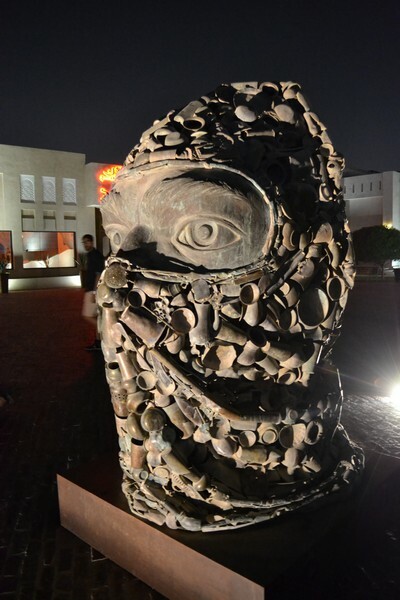 Can you guess what’s this sculpture made of? 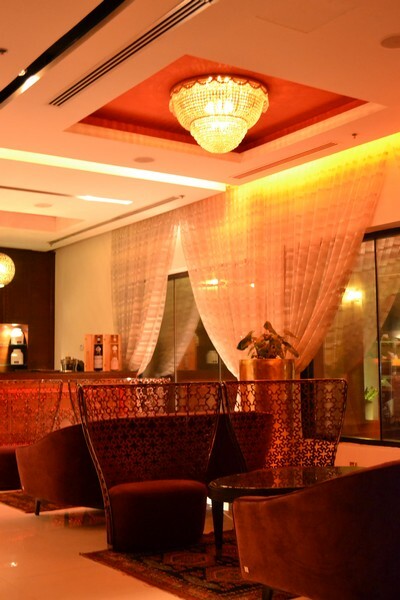 Finally, we had an exotic dinner in an Indian restaurant, Saffran. Thanks for sharing this post, this is really very nice and amazing.